Large, pale rosy-pink, cup-shaped flowers up to 9cm across on wiry, branched stems from July to September. 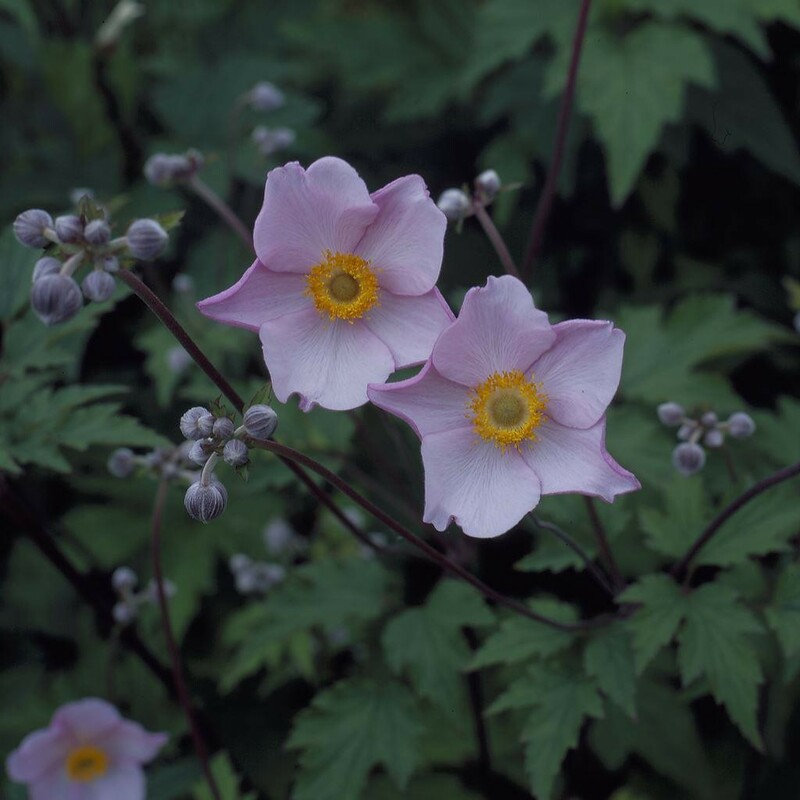 These Japanese anemones have distinctive purple-tinted stems and outer petals, which contrast beautifully with the pale pink inner petals. A particularly free-flowering variety, they look wonderful planted towards the back of a partially shady border. Supplied in approx 2-3 litre containers.